Marvel Studios is doing it again. It’s hyping the release of Avengers: Endgame via an all-new trailer, but not everyone seems to be excited with the reel. The inclusion of Captain Marvel has fetched the studio millions already, but there are many fans who aren’t too pleased about Carol Danvers a.k.a Captain Marvel’s look in Avengers: Endgame. 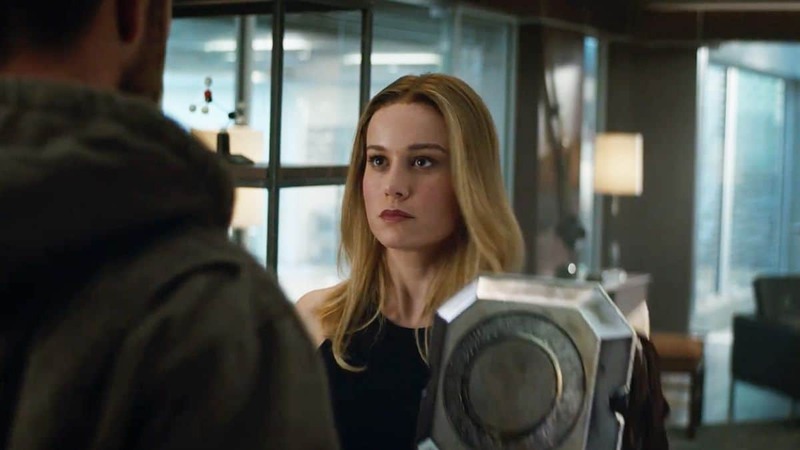 As you may notice, some fans have started to question Carol Danvers’ appearance in the trailer of Endgame. Captain Marvel appears at the very end of the trailer alongside Black Widow and Thor, but her glam look confused many fans. The main criticism is about Carol face full of makeup. In Captain Marvel, she used as less makeup as she could and went on with a more natural look. This seems to have changed in the trailer, where Carol is seen with an eye-liner and red lips as she faces Thor with an unfazed reaction. Many fans wonder if this was done to make Carol Danvers look more feminine, and it has also angered many fans. After all, many are wondering why she would go with a makeover after getting to Earth when a Universe ending event has taken place. However, many fans are also defending the heroine. There are many fans who suggest that merely makeup doesn’t make a man or woman weak. Heroines like Natasha Romanoff aka Black Widow and Peggy Carter have used makeup pretty often and their strong status as females wasn’t damaged by the looks. Thereby, fans are claiming that Captain Marvel deserves the same. We all know who strong Captain Marvel is, with or without her makeup, but it seems like it’ll take for this controversy to get over.